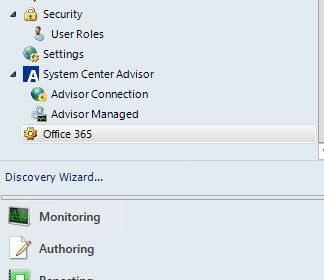 First, at long last the Office 365 Management Pack was released today! Yay & much rejoicing throughout the land! Naturally I immediately downloaded, read the MP Guide, and then imported into my test environment. The initial import seemed to go fine. 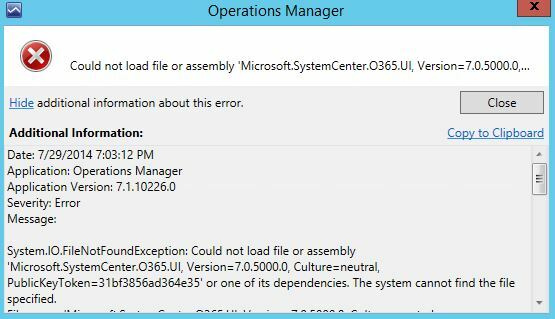 System.IO.FileNotFoundException: Could not load file or assembly ‘Microsoft.SystemCenter.O365.UI, Version=7.0.5000.0, Culture=neutral, PublicKeyToken=31bf3856ad364e35’ or one of its dependencies. The system cannot find the file specified.